I've seen others do these blog challenges and never paid them much mind. But on and off, I have struggled with what to write about. Sometimes it just flows. This week is a good example...I have way too much to say. And other weeks, I just tell you about silly shopping or nothing topics. At the end of the day, I write this blog for myself. So I am ultimately OK with writing a few posts that are more in the moment or what happens to be on my mind that day, even if only interesting to me. But I would like to grow this blogging adventure into something more significant. After nearly six years (in a few days...it will be official), I am ready to step things up a notch. 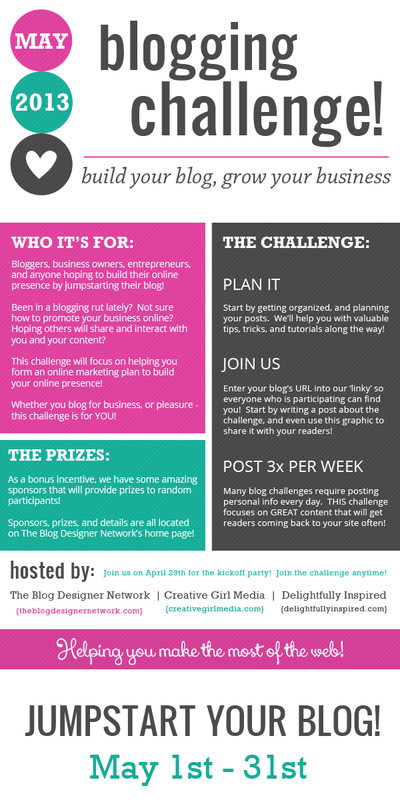 So I am joining in the May Blogging Challenge. I hope it helps me to focus more on content but keep my voice at the same time. I have a favor to ask of y'all. Would you mind leaving me a comment (or email or text or whatever) with what you would like to see more of on here? I mean, I am still going to use this as a personal lifestyle blog to talk about my life and experiences. No changes there. But are there topics I sometimes cover that you prefer over others? I'd like to narrow things down a little. I like the stories of your life! I am with MC...every day life stories are my favorite! Fashion too! Stopping by from the blog hop to say hello! I like reading everyday life stories, it helps me keep our "normalcy" in perspective. Hoping to read some amazing posts!! How can I follow you ? Im on the blog hop too! i havent started on anything yet tho!